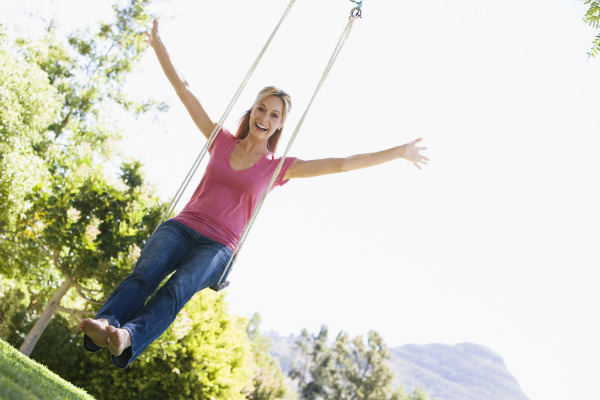 Do you sometimes feel tired after work, but your children have plenty of energy to burn off? 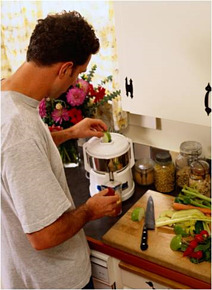 Do you find it difficult to find time for fitness and family life? Try combining them for a new, fun outlook on physical activity. You and your children will benefit! It helps them burn off energy and you will hopefully gain some energy. Kids love video games, so look for good deals to purchase a Wii. There is fitness, dancing, boxing, and several other active games to get the entire family involved. Pull out some of your fitness DVDs and make a game out of who can do the most or go the furthest on the workouts. Be a kid again! Play games like kickball, dodge ball, and tag at the local park. Get other neighborhood kids and families involved, too! 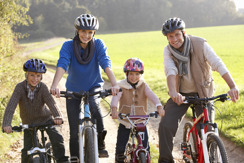 Find a good trail for a family bike ride. Depending on the season, find an indoor or outdoor pool for swimming and fun pool games. Light strength training is also good for the kids. They don’t need heavy resistance because their bodies are still developing. If you have an onsite corporate fitness facility, talk to the fitness staff for good strength training exercises for kids. Try to walk as much as possible―for example, to the park, to the restaurant, or to school. What other fun activities have you incorporated while spending time with the kids?